Please fill out application completely. In accordance with the provisions of Section 604(b)(2)(A) of the Fair Credit Reporting Act, Public Law 91‐ 508, as amended by the Consumer Credit Reporting Act of 1996 (Title II, Subtitle D, Chapter I, of Public Law 104‐208), you are being informed that reports verifying your previous employment, previous drug and alcohol testing results, and your driving records may be obtained for employment purposes. Your employer or prospective employer may obtain this information from Accufax, Equifax, Transunion, Experion, or other vendors of such information services. You should also be aware that, as a condition of your application for employment or continued employment, your employer or prospective employer may acquire your criminal background records by means of employing a service that specialized in obtaining such records via electronic interface with local, state, and federal municipalities, law enforcement agencies, bureaus, or other sources of such criminal and court records. Lastly, you should be aware that your employer or prospective employer may utilize the FMCSA’s Pre‐ Employment Screening (PSP) system in order to obtain your previous DOT roadside inspection and crash records for review. Your signature on this form constitutes your acknowledgement of full understanding of the information presented above, and the granting of your permission for your employer or perspective employer to obtain any and all such records as are referred to within the information presented above. Applicant / Employee Permission to Acquire Personal Information In accordance with the provisions of Section 604(b)(2)(A) of the Fair Credit Reporting Act, Public Law 91‐ 508, as amended by the Consumer Credit Reporting Act of 1996 (Title II, Subtitle D, Chapter I, of Public Law 104‐208), you are being informed that reports verifying your previous employment, previous drug and alcohol testing results, and your driving records may be obtained for employment purposes. Your employer or prospective employer may obtain this information from Accufax, Equifax, Transunion, Experion, or other vendors of such information services. You should also be aware that, as a condition of your application for employment or continued employment, your employer or prospective employer may acquire your criminal background records by means of employing a service that specialized in obtaining such records via electronic interface with local, state, and federal municipalities, law enforcement agencies, bureaus, or other sources of such criminal and court records. Lastly, you should be aware that your employer or prospective employer may utilize the FMCSA’s Pre‐ Employment Screening (PSP) system in order to obtain your previous DOT roadside inspection and crash records for review. Your signature on this form constitutes your acknowledgement of full understanding of the information presented above, and the granting of your permission for your employer or perspective employer to obtain any and all such records as are referred to within the information presented above. Please tell us who referred you? IF THE ANSWER IS YES TO EITHER QUESTION ABOVE, PLEASE GIVE DETAILS IN THE SPACE BELOW. Note: DOT requires that employment for at least 3 years and/or commercial driving experience for the past 10 years be shown.  In connection with your application for employment with Ward Timber Ltd, its employees, agents or contractors may obtain one or more reports regarding your driving, and safety inspection history from the Federal Motor Carrier Safety Administration (FMCSA). When the application for employment is submitted in person, if the Prospective Employer uses any information it obtains from FMCSA in a decision to not hire you or to make any other adverse employment decision regarding you, the Prospective Employer will provide you with a copy of the report upon which its decision was based and a written summary of your rights under the Fair Credit Reporting Act before taking any final adverse action. If any final adverse action is taken against you based upon your driving history or safety report, the Prospective Employer will notify you that the action has been taken and that the action was based in part or in whole on this report. When the application for employment is submitted by mail, telephone, computer, or other similar means, if the Prospective Employer uses any information it obtains from FMCSA in a decision to not hire you or to make any other adverse employment decision regarding you, the Prospective Employer must provide you within three business days of taking adverse action oral, written or electronic notification: that adverse action has been taken based in whole or in part on information obtained from FMCSA; the name, address, and the toll free telephone number of FMCSA; that the FMCSA did not make the decision to take the adverse action and is unable to provide you the specific reasons why the adverse action was taken; and that you may, upon providing proper identification, request a free copy of the report and may dispute with the FMCSA the accuracy or completeness of any information or report. If you request a copy of a driver record from the Prospective Employer who procured the report, then, within 3 business days of receiving your request, together with proper identification, the Prospective Employer must send or provide to you a copy of your report and a summary of your rights under the Fair Credit Reporting Act. Neither the Prospective Employer nor the FMCSA contractor supplying the crash and safety information has the capability to correct any safety data that appears to be incorrect. You may challenge the accuracy of the data by submitting a request to https://dataqs.fmcsa.dot.gov. If you challenge crash or inspection information reported by a State, FMCSA cannot change or correct this data. Your request will be forwarded by the DataQs system to the appropriate State for adjudication. Any crash or inspection in which you were involved will display on your PSP report. Since the PSP report does not report, or assign, or imply fault, it will include all Commercial Motor Vehicle (CMV) crashes where you were a driver or co-driver and where those crashes were reported to FMCSA, regardless of fault. Similarly, all inspections, with or without violations, appear on the PSP report. State citations associated with Federal Motor Carrier Safety Regulations (FMCSR) violations that have been adjudicated by a court of law will also appear, and remain, on a PSP report. The Prospective Employer cannot obtain background reports from FMCSA without your authorization. If you agree that the Prospective Employer may obtain such background reports, please read the following and sign below: I authorize Ward Timber Ltd. to access the FMCSA Pre-Employment Screening Program (PSP) system to seek information regarding my commercial driving safety record and information regarding my safety inspection history. I understand that I am authorizing the release of safety performance information including crash data from the previous five (5) years and inspection history from the previous three (3) years. I understand and acknowledge that this release of information may assist the Prospective Employer to make a determination regarding my suitability as an employee. I further understand that neither the Prospective Employer nor the FMCSA contractor supplying the crash and safety information has the capability to correct any safety data that appears to be incorrect. I understand I may challenge the accuracy of the data by submitting a request to https://dataqs.fmcsa.dot.gov. If I challenge crash or inspection information reported by a State, FMCSA cannot change or correct this data. I understand my request will be forwarded by the DataQs system to the appropriate State for adjudication. I understand that any crash or inspection in which I was involved will display on my PSP report. Since the PSP report does not report, or assign, or imply fault, I acknowledge it will include all CMV crashes where I was a driver or co-driver and where those crashes were reported to FMCSA, regardless of fault. Similarly, I understand all inspections, with or without violations, will appear on my PSP report, and State citations associated with FMCSR violations that have been adjudicated by a court of law will also appear, and remain, on my PSP report. I have read the above Disclosure Regarding Background Reports provided to me by Prospective Employer and I understand that if I sign this Disclosure and Authorization, Prospective Employer may obtain a report of my crash and inspection history. I hereby authorize Prospective Employer and its employees, authorized agents, and/or affiliates to obtain the information authorized above.